The cold weather won’t slow down a Mike Geric Construction crew! Travino Square is nearing the final stretch and Travino Landing is springing up before our eyes. Travino Square is now 50% insulated and the installation of drywall on the top two floors is already in progress. Finishing details are well underway, in January cabinets will arrive and painting will begin! Travino Square will be that much closer to move in day! 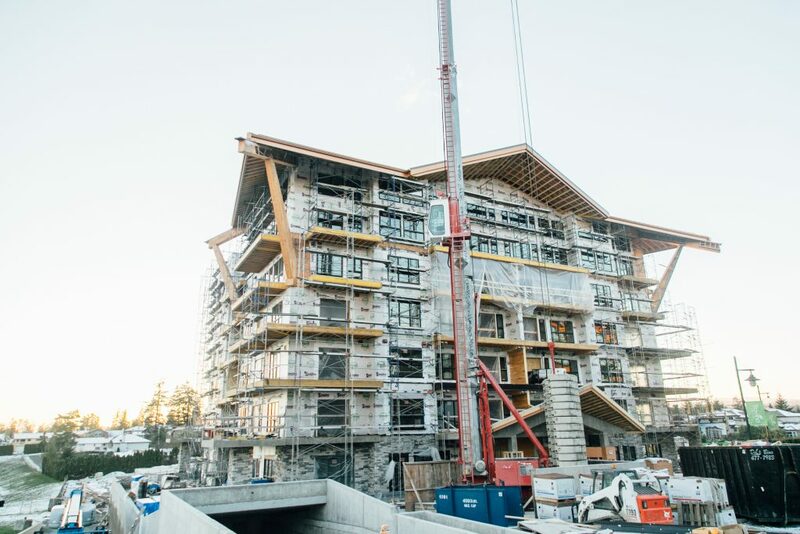 With the foundation/parking structure nearing completion we’ll begin framing Travino Landing in January! It’s been a tremendous year for Mike Geric Construction and we couldn’t have done it without all of you. On behalf of all of us at Mike Geric Construction we’d like to wish you and your loved ones a happy holiday season! To view more construction photos from December visit our Facebook page!